We hereby pledge to bring about a 21st century in which the human race will finally make peace with the animal kingdom. Human beings will no longer kill, maim, torture or exploit fellow beings for food or other purposes. 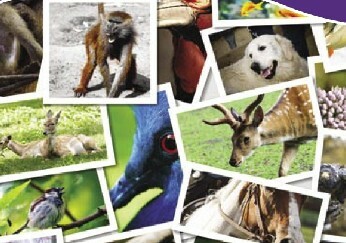 Animals will have fundamental rights which will be internationally recognised. It is clear beyond any doubt that the survival of the human race depends upon the survival of the forests and other natural resources and of the animals with whom we share this planet. We pledge to protect all of them. We oppose the introduction of animal genes into human beings and the genetic manipulation of animals and plants. The human race will reach the pinnacle of civilisation when it extends the hand of friendship and compassion to the animal kingdom and returns to the healthy plant-based diet best suited to the moral and physical needs of our species, thus avoiding the related evils of animal exploitation, human starvation and environmental destruction. At the close of the 20th century and the beginning of the 21st, let us make a tryst with destiny to create a world free of violence towards all living beings who are dependent on our love and compassion. Together let us embark on that long journey which will bring about a world in which all animals are treated with compassion and mercy and accorded rights that human beings take for granted. This year's Mahaveer Award was presented to Marion and Mark Eton on 16th May 2015. Founders of F.R.I.E.N.D. Animal Rescue Sanctuary. They have dedicated your lives to the care of animals for 18 years.We salute your compassion which is as deep as the Ocean." Read more in the Latest News section. We Pledge that Milk will no longer be used at our Temple or Home. We will use Soy milk, Almond milk or any other alternative. Organisations - Pledge that no meat, fish or eggs will be served at any of our events. Individual - Pledge to abstain from meat fish and eggs and not serve them to anyone. Jain Monks and Nuns travel by foot to different parts of India. There have many accidents involving passing vehicles in which the Monks and Nuns have died. If you agree to do the prayers please sign your name, country and email at the pledge link below. "This book is very special, with excellent text, world class photography, clever design, with a focus on local recipes: those are all the ingredients needed to make one of the best cookbooks in the world!" use the details below, write to us or email us with anything which you feel may be of interest.